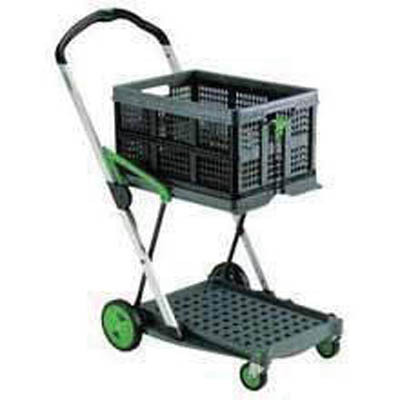 A lightweight trolley that instantly transforms from a compact folded position to a ready to use trolley. Ideal for carrying tools and small packages. Easily stored in the folded position. Fitted with parking brake. Moulded plastic construction with strong aluminium supports. Complete with 46ltr carrying box.